Hello everyone! 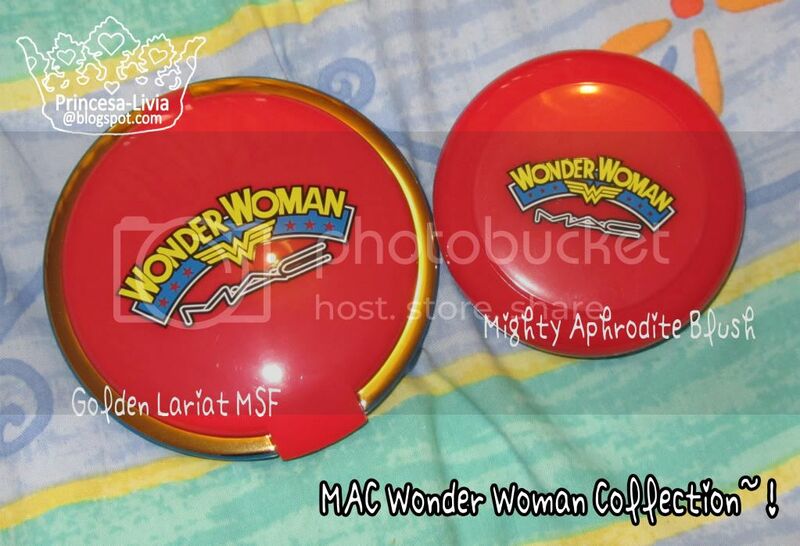 Here are two items I got from the MAC Wonder Woman Collection. 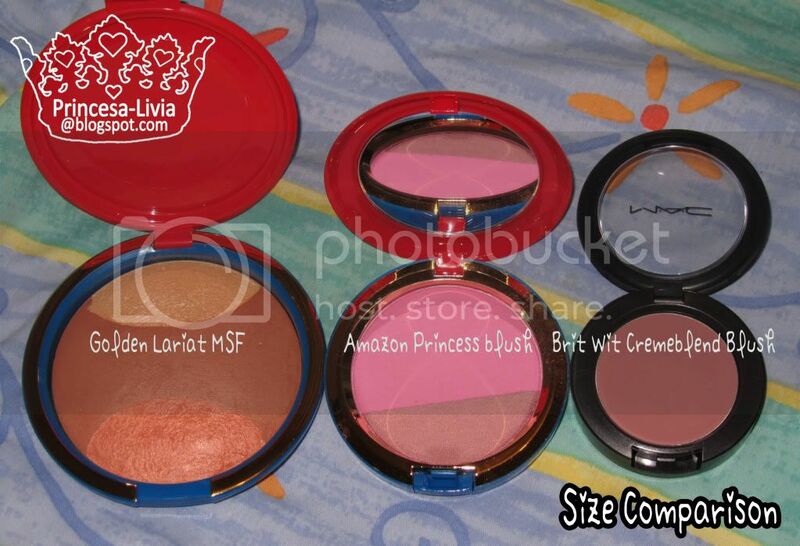 I got Amazon Princess blush duo and a Mineralize Skinfinish in Golden Lariat. 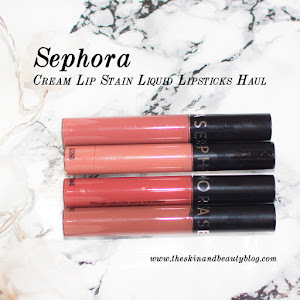 Keep reading for my review & swatches! Golden Lariat MSF. The first thing I noticed from this product is its massive size! 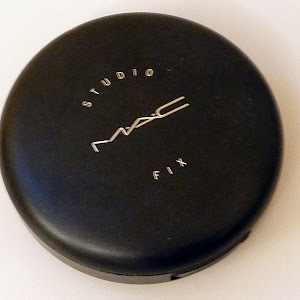 The compact itself is way bigger than my palm! (well I have tiny hands but that's still a good measure of its gigantism). 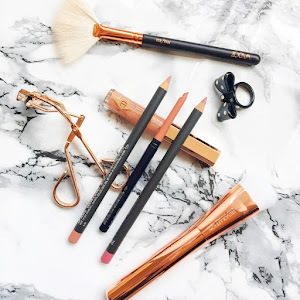 The big size is a good thing though to make it easier to use the 3 separate colours: 1 light yellow gold highlight, 1 darker contour shade, and 1 orange-toned MSF. 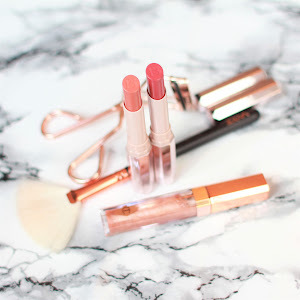 The blush side reminds me of the much coveted Stereo Rose MSF! But I will have to make a comparison post for that.. I love this one! 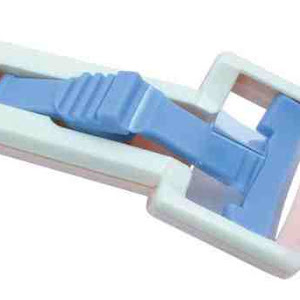 It has everything you need for a cheek look, and with a light hand, this seems to work on my NC30 skin. 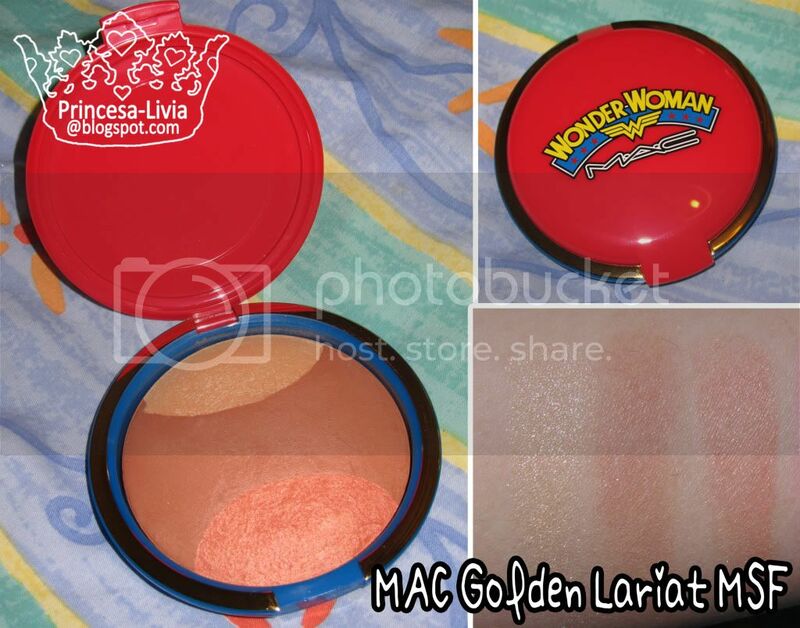 Out of the two face products, this also has the better packaging, with the gold detail around the compact. 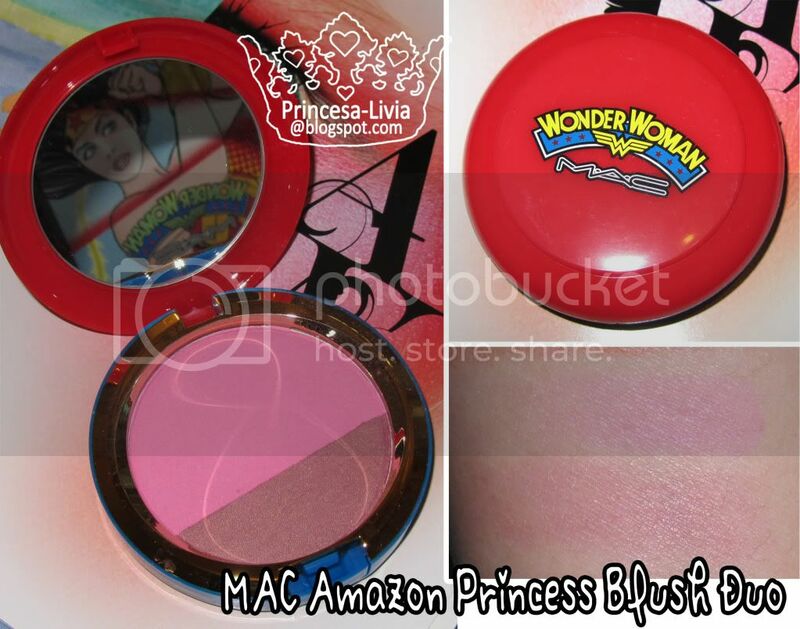 Amazon Princess Powder Blush. 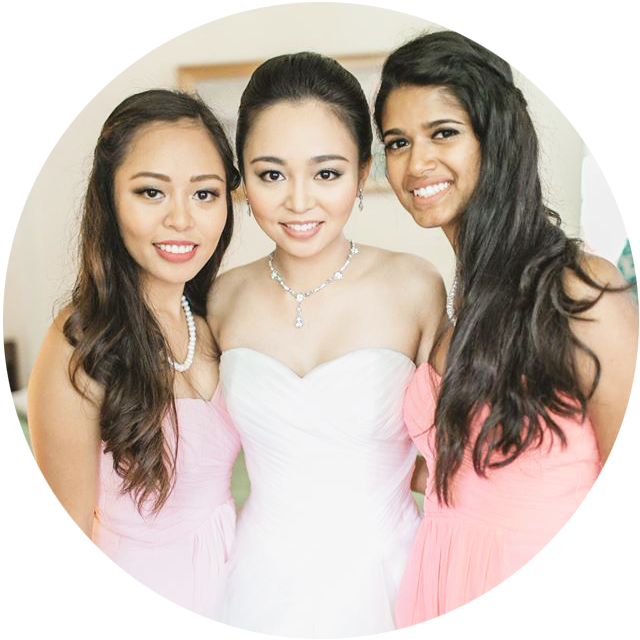 This is a blush duo of a bright blue-pink and a reddish plum. There is hardly any shimmer on these when worn, which is a very good thing, and a good contrast from the MSF. I love the brightening innocent effect the pink colour gives. 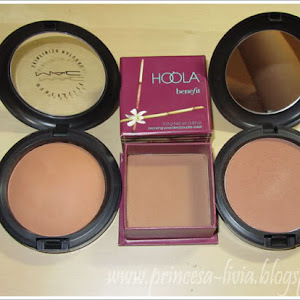 Here you can see the massive difference in size between the giant MSF and a normal MAC blush! I also got to check out the rest of the collection (except Mighty Aphrodite blush duo - which is what I have been looking forward to!). 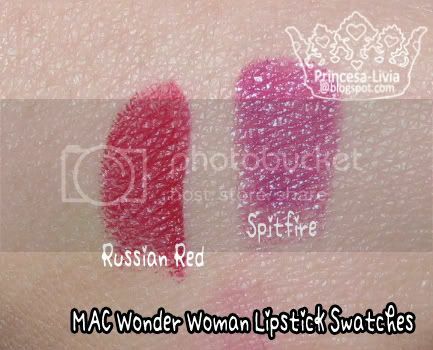 Out of the others, I really liked Spitfire lipstick and Marquise'd lipstick. 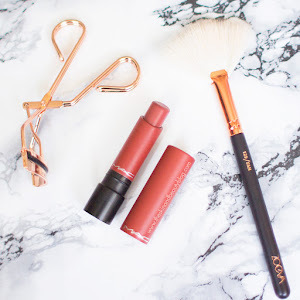 Even though the MSFs were gigantic, I also couldn't believe how large the lipgloss tubes and the Penultimate liner were! 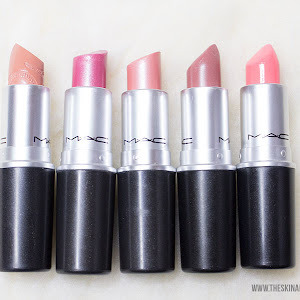 I believe this collection is already out in Selfridges, and will be available in the rest of the UK MAC stores starting March 3rd. 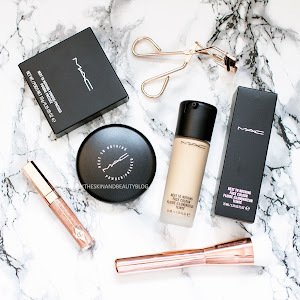 Disclaimer: These products were provided by MAC for consideration for review, but my review is my honest opinion! It packages looks really cool i love it! Just wanted to say it was lovely to meet you yesterday at LFW :) Hope you had a good rest of the day. The MSF looked gorgeous now I'm thinking of it! hahaha... 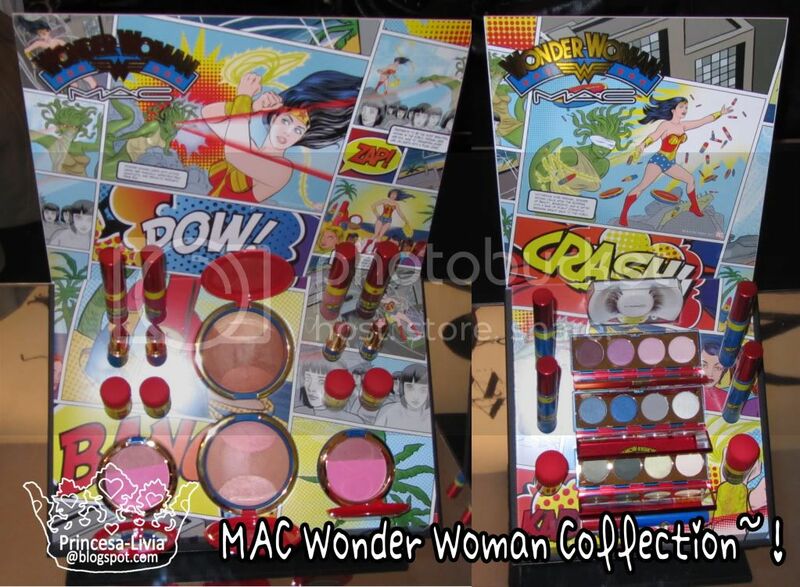 Huge packaging for Wonder Woman seems to run across the products, interesting! 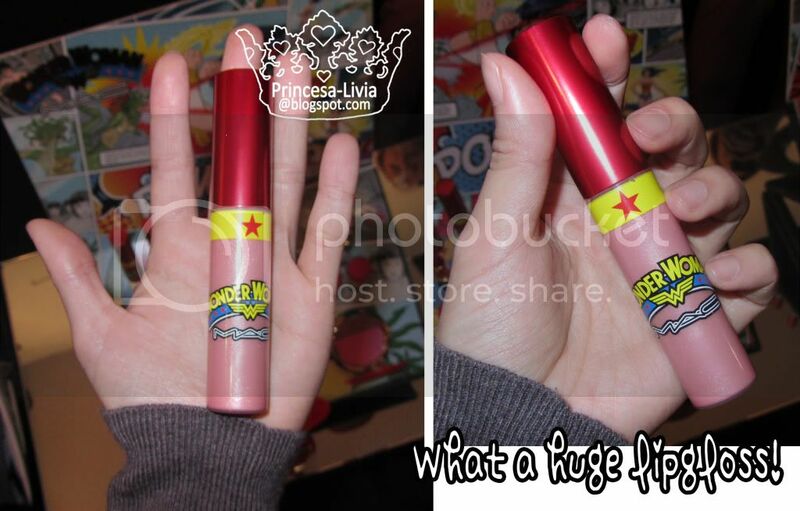 @ Jennifer- Yes, I have tiny hands, but the lipgloss really is huge! 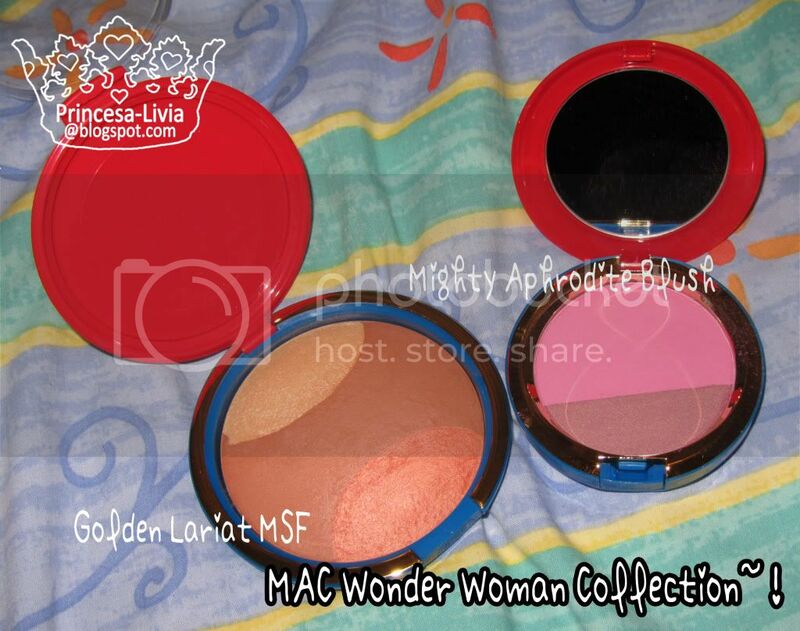 @blushfully by cendana - Yes, I love this MSF; I just love orange-peach toned blushes, and this one looks gorgeous. Reminds me of Stereo Rose! !